Sussex Police have said a drink-driver who fled the scene of a crash was tracked down by a police officer and his canine counterpart. Joel Elphick, a 21-year-old waiter from Golden Avenue in East Preston, was charged with driving with 72mcg of alcohol per 100ml of breath in his system, said police. A police spokesman said at about 4.30am on Thursday, September 13, officers were alerted to a car having crashed into a parked coach at the junction of Wallace Avenue and West Parade in Worthing. On arrival, Police Constable Paul House discovered the driver had made off from the red Volkswagen Up, said police, so deployed police dog Vinnie. Vinnie immediately detected a track and directed his handler north up Wallace Avenue and left into Latimer Road, said police. 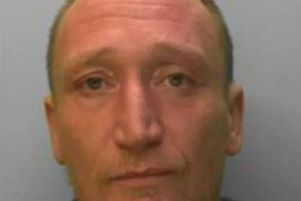 The pair continued into Bernard Road and into West Parade again, police said, and PC House noticed a figure moving between the beach huts on the seafront opposite. The police spokesman said PC House confronted Elphick who admitted being the driver of the car involved. Having failed a roadside breath test, he was arrested and charged, said police. At Worthing Magistrates’ Court on Friday (September 28), police said Elphick was disqualified from driving for 20 months, fined £92, and ordered to pay £85 costs and a £30 victim surcharge. They can also contact the independent charity Crimestoppers anonymously on 0800 555 111 or report it online.